Have you heard the phrase, “an ounce of prevention is worth a pound of cure?” While the adage is usually applied to personal health, it’s true for your HVAC system as well. Just like vehicles and truly any appliance or system, HVAC systems perform better, last longer, and incur fewer additional costs when they are regularly maintained. If you’re thinking about signing up for a preventative AC maintenance plan, then it’s time to dive into these top benefits and other must-know information. Let’s face it. Most of us don’t give much thought to our HVAC systems until there’s a problem. We may tinker with the thermostat a little each day, but otherwise, we keep things pretty hands off. With a preventative HVAC maintenance plan, you can enjoy peace of mind knowing your system is running as efficiently as possible. A well-tuned HVAC system not only helps you increase your energy efficiency and reduce energy costs, it also helps to avoid the major expenses that often come along with sudden repairs. Buying a new HVAC system is probably not a favorite task of many homeowners. While all HVAC systems will eventually need be replaced, it’s worth the effort to make them last as long as possible. A regular tune-up will help you correct issues before they turn into big, expensive problems and extend the lifespan of your equipment. Where would we be without the invention of central heat and air? Probably sweating through some long summers and freezing all winter long! Your HVAC system is designed to keep your home comfortable. A poorly performing HVAC system will have trouble keeping your home as cool or as warm as you’d like. No one enjoys the downtime of dealing with a nonfunctional system either! Avoid the discomfort and keep things comfortable with a preventative maintenance plan. Life is busy for all of us, and we rarely have time to stick around waiting to get things taken care of around the house. With our maintenance plans, you can schedule at your convenience and check one more thing off of your to-do list! We’ll let you know in advance when your tune-up is due to arrive so you can make any necessary changes to the schedule. Now that you know about all of the benefits of a preventative maintenance plan for your HVAC system, we’d be honored to discuss developing a customized plan for you! At American Heating and Cooling, we specialize in heating, cooling, and HVAC for the Nashville area.  Get in touch with our team to learn more about our professional HVAC services!